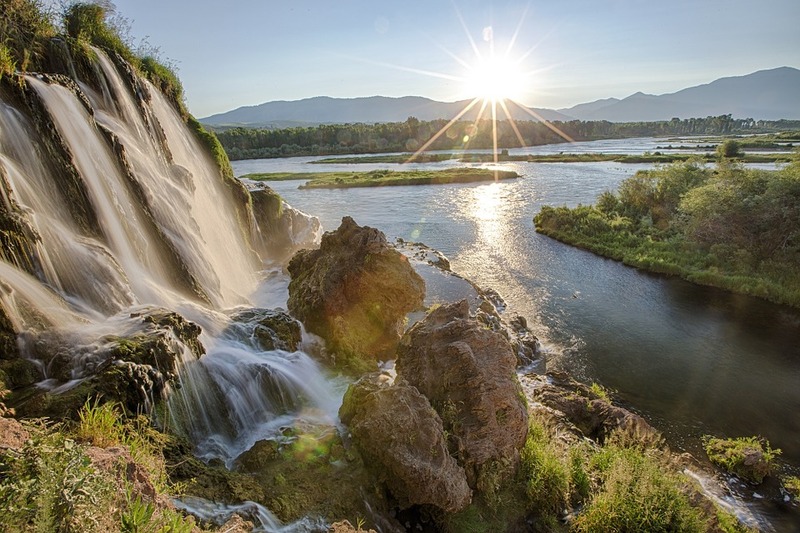 Here are the three most beautiful and spectacular waterfalls located in the state of Idaho. Listed for each waterfall is the height of the fall along with the width, the river the waterfall is located along and directions to get to the waterfall. There are many waterfalls in Idaho but these are the three most beautiful and the easiest to get to. You can pretty much drive to each one of these spectacular waterfalls and the views for each one are pretty special. 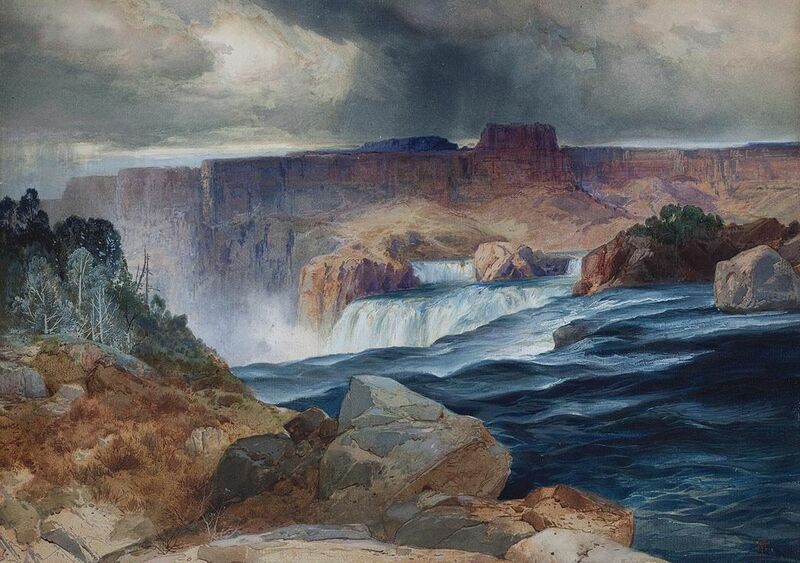 Often called the Niagara of the West, Shoshone Falls beautifully drops some 212 feet over roughly a 1,000 foot wide rim along the Snake River in south-central Idaho in the city of Twin Falls. 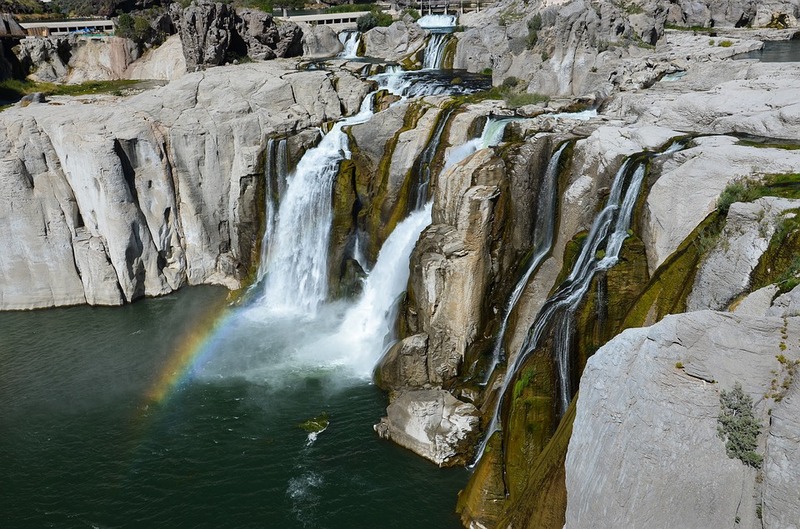 Shoshone Falls are not only spectacular and beautiful but the falls are also easy to visit. Shoshone Falls is located in Shoshone Falls Park which is owned and operated and located just 3 miles northwest of Twin Falls, Idaho. 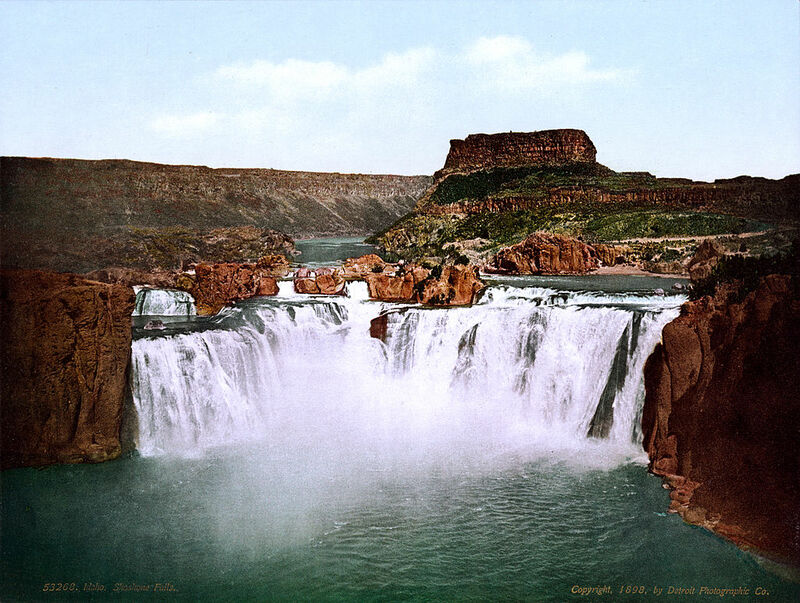 The only drawback for Shoshone Falls is that there is a hydroelectric power station above the falls that will sometimes divert water from going over the falls. Upper Mesa Falls is a thundering beautiful waterfall that drops 114 feet over a 200 foot wide ledge along the Snake River tributary called Henry Fork in southeastern Idaho near the Wyoming border and Yellowstone National Park. 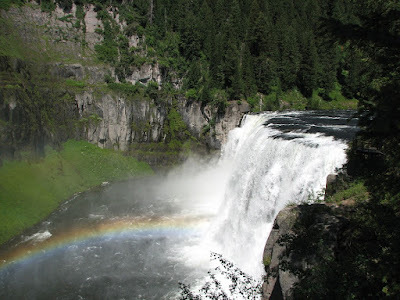 Upper Mesa Falls is easy to visit as it's located right along the Mesa Falls Scenic Byway access road which is 16 miles northwest of Ashton, Idaho. Fall Creek Falls drops 60 spectacular feet along Fall Creek just before it descends into the Snake River in southeastern Idaho not far from the Wyoming border. As you can see from the photos, Falls Creek Falls is really beautiful waterfall well worth seeing. To get to Fall Creek Falls take Route 26. Just before Route 26 goes over the Snake River coming from Idaho Falls there is a gravel road labeled the Sanke River-Palisades Dam road on the right. Take that road about 1.5 miles to the falls. If you are coming from Wyoming the gravel road is just after you go over the Sanke River along Route 26 on your left.